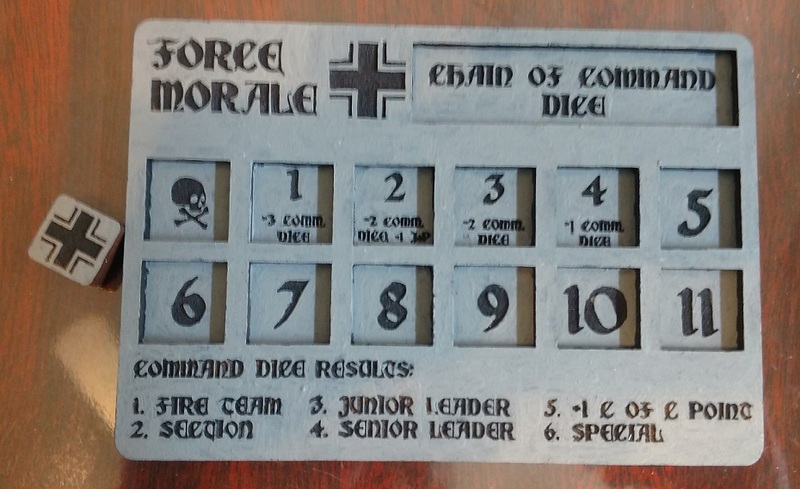 I got two really nice MDF Force Morale Trackers from the Phalanx Consortium over a year ago for Christmas. I left them alone until this week. They are really nice and have most of the useful info on them you need. They make a German, Soviet, UK and US boards so far. 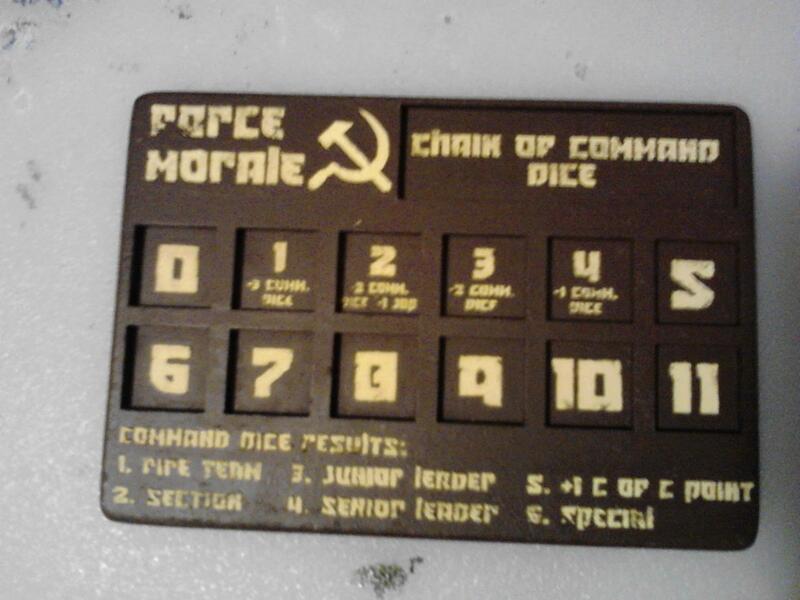 I just painted up the Soviet one and still need to seal it. I know there are a number of other companies making these (Warbases come to mind). Anyone else using these or is everyone mostly using printed ones from the book? I'm hoping to get in a game with this and the German one soon. I use the warbases ones, they work really well. 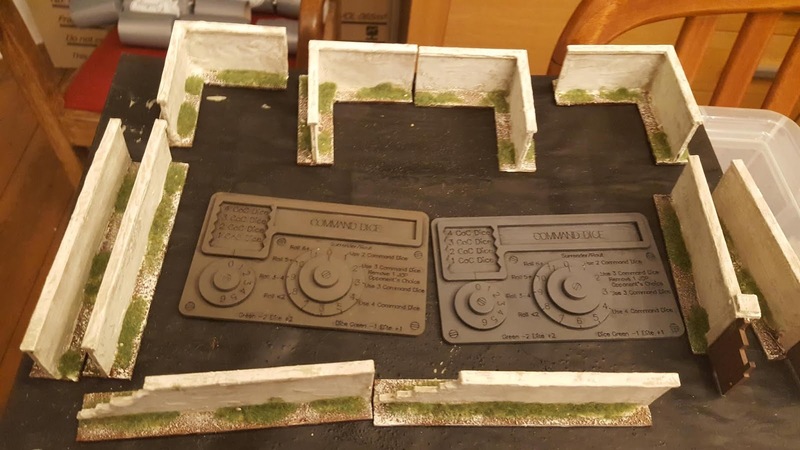 Everything you need on one small piece of MDF, tracks CoC dice, FM and effects, unobtrusive on the table, and when painted up they look the part. Here's the warbases trackers. There's also a small clear marker for increasing the CoC dice. I'd actually just painted mine up as well! Puttied up the gaps between the mdf sheets and sanded down the edges. Might request an Italian design from them soon, as I'm starting a Mediterranean project. My German one came out pretty well. I looked at the Warbases ones for a long time, but since the ones I got were a gift, I can't see not using them. 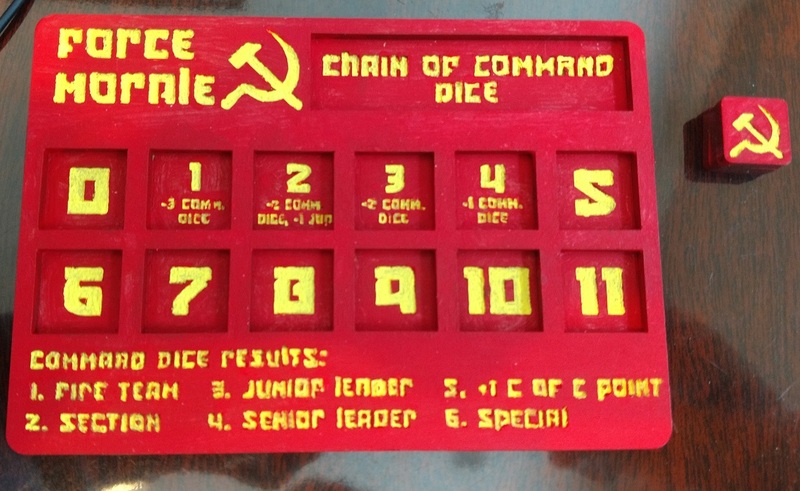 Someone recently did a 3d printed dice tray for Chain of Command. It looked pretty sharp as well. It had a peg system for tracking force morale. If I can ever get my printer working again, I will make one. For me the warbases ones win out because they include the CoC Dice. I did see the printed tray, but it looked just a bit too much for me. The warbases ones are also reasonably small and unobtrusive too, once painted. Unfortunately, the official Chain of Command dice I have are misshapen and only fit oriented one direction, not the other.